The EmlViewer Pro software team has been working on the upcoming Version 7 release. We’re excited about this update because it has some some new features that we think you’ll be able to put into use right away. One of the improvements we’ve made is to make it easier to quickly filter and discover email from within a large set of .eml email messages. 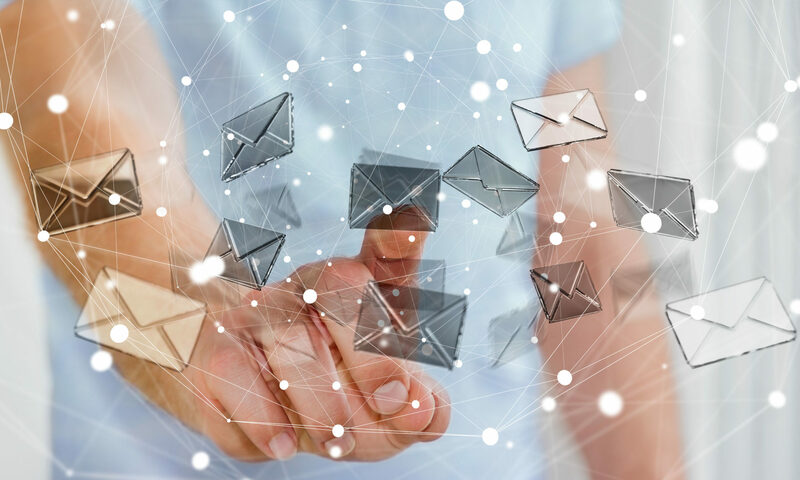 As users of EmlViewer Pro (also known as PstViewer Pro) understand, there are two basic ways to identify important email messages: searching, and filtering. Searching prepares a set of .eml emails. For example, you may have a folder of 1,000 .eml files. Searching may return, say, 500 .eml files. 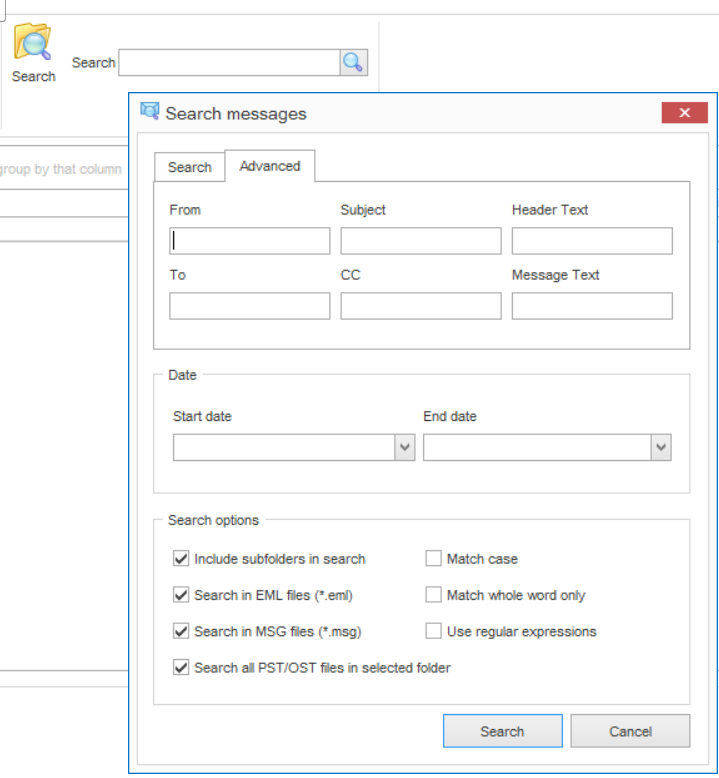 Search window in EmlViewer Pro locates .eml files. Use filtering to to quckly refine those .eml messages. Filters can be as complex or simple as you need them to be. You can save filters, and then apply them against differerent sets of messages. Although filtering has been available in previous version of EmlViewer Pro, in version 8 filtering was been repositioned in the UI to make it more prominent and easier to use. Filtering is now easily easily accessible on the left-hand margin. Simply click “Filter Editor” and begin building a filter to apply to the .eml files in the list. The filters you create can be saved and then applied against later searches. The Filter Editor contains numerous boolean criteria that you may combine in powerful ways. 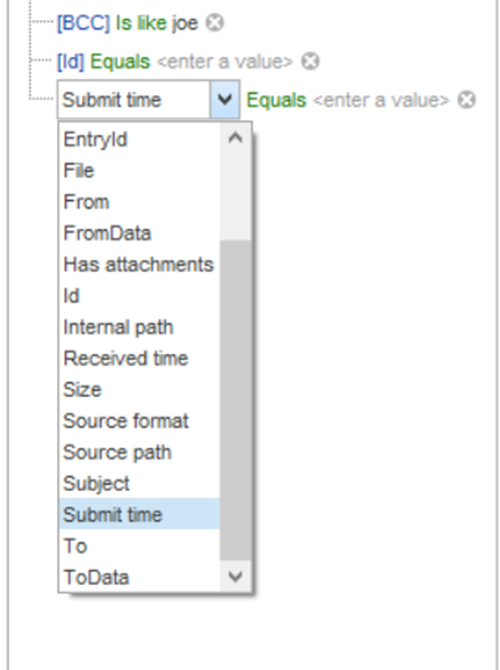 subject, submit time, To, From, whether the email has attachments, and many other bits of data residing within in the .eml file. 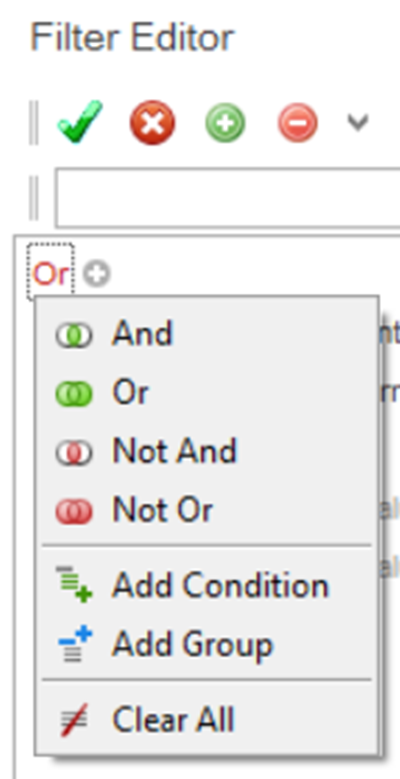 Using the filter tool, you can create powerful filters that contain a fix of And/Or conditional statements, such as “Find email from Bob or John,” and then layer on additional criteria, such as a date range or whether or not the email contains files, or has a specific word in the body. While Search and Filtering can give you similar results in the end, here is why you should consider using the Filterin option more often that search. First, .eml file filtering is faster. A search operation has to re-scan each individual .eml file, which can be slow depending on how many .eml files you are working with. 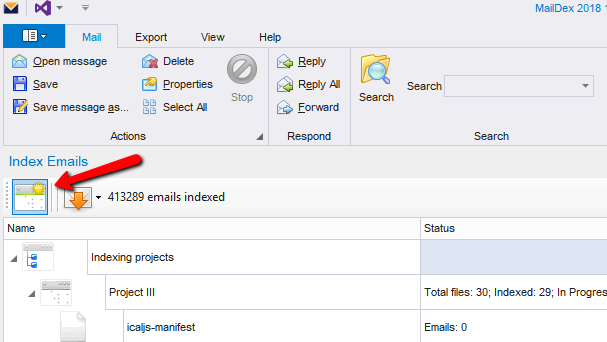 Filtering does not rescan emails, but uses the data that has been included in the search set. 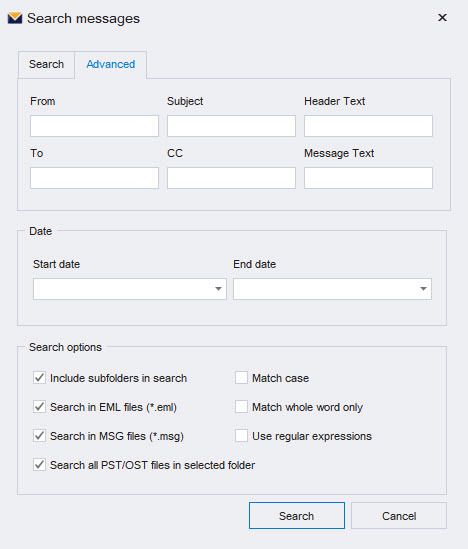 Second, filters can be re-used and applied later against different search sets. Third you can apply multiple filters against a single data set. Download a free trial of EmlViewer Pro and start experimenting with filtering your .eml files. Learn more at the EmlViewer Pro home page.